Selling is a very broad-based activity. Everyone’s style is different – kinda like listening to the different music genres. Because June is National Fresh Fruit and Vegetables Month, tomorrow (June 16) is Fresh Veggies Day, and Friday (June 17) is Eat Your Vegetables Day, wouldn’t you stand out from the crowd visiting a client with a basket of tomatoes? “Lettuce Turnip The Beet”! It’s very simple: you come up with a message (hopefully clever), pick up some fresh veggies or fruits from the farmer’s market, design a card, and go visit clients with your bounty in tow. 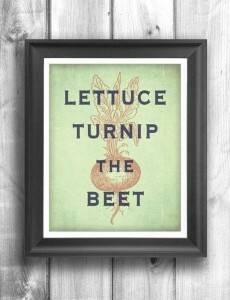 Lettuce Turnip the Beet. Visit a vegetarian/vegan restaurant. Wear your favorite vegetable shirt. Find some great music about vegetables. Get adult coloring books about vegetables. Wow the customer with your knowledge of fresh fruits and veggies. Lettuce Be Happy. Lettuce Be Friends. Lettuce Work Together. Pick up a salad and go visit a client. Better yet, pick up 2 salads, pack a picnic basket and invite a client to lunch. I Carrot A Lot. Get a bunch of carrots, put them in a basket and find a great carrot recipe to tie into your idea. Let your customer know you care (carrot). You Look Radishing. Add radishes to a pampering theme basket. Invite a client to get a manicure. It’s Thyme To Talk. Plant thyme seeds in a mini herb garden. Remind your repeat customers its time to rebook their event. You’re One in a Melon. Get a fruit tray and take it to a client visit or presentation. Emphasize the value of their account to your hotel. Kale Me Maybe? Let that tough-to-reach-customer know that you’d like to talk. Kale is superfood so pick up a specialty salad from the deli and deliver your message (that you’d like to talk) to the gatekeeper. Or, tie up a bunch of kale like a floral delivery and deliver to the client with your card. If you Cantelope – Host Your Wedding Party Here! Visit a bride or a wedding venue. Work a wedding show. Celebrating fresh fruits and vegetables by getting a pint of fresh blueberries or strawberries, printing a recipe and giving them with your sales kit when you visit your client? 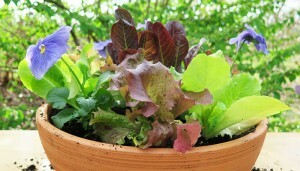 Take a package of veggie seeds, a pot and dirt and encourage clients to “grow their business” with your hotel. 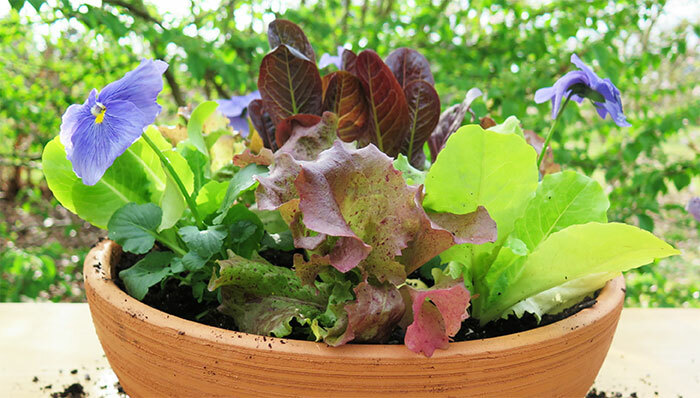 Plant a “salad bowl” and deliver with flavored oil and vinegar. Happy Lettuce Turnip The Beet With Customers!